Donald L. Baker, was appointed Fiscal Officer August 1, 2013 and was elected and re-elected in November 2013 and November 2015. He and his wife Carol have a son who graduated from HHS and have been residents of Granger since 2004. Donald has a BS in Accounting from the University of Akron and attended the Stonier Graduate School of Banking, Univ. of Delaware. His current term expires March 31, 2020. 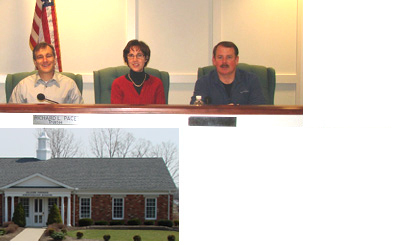 Granger Township Trustees have two scheduled meetings each month; usually the second Monday at 7:30 PM and the fourth Monday at 4:00 PM. All meetings will be held at the Granger Township Administration Building, 3717 Ridge Road. Everyone is welcome to attend and speak! Special Meetings are scheduled as needed. All meetings are advertised in the Medina Co. Gazette and posted on the main page of the website. Meetings are also posted on the message board sign in front of the building.